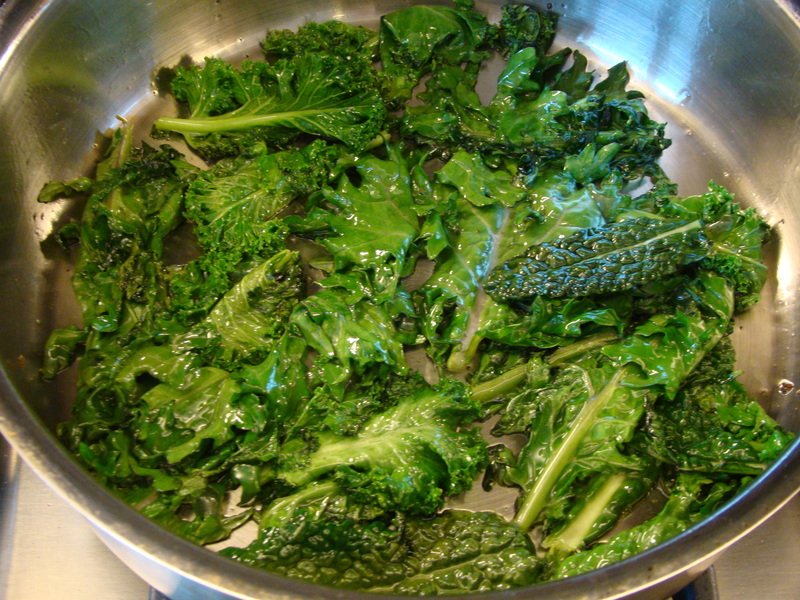 This morning I picked some baby kale leaves from the enormous over-wintered kale shrub and some older leaves from the over-wintered sorrel, gave them two stirs in hot oil, and added two fresh eggs. The result was so outstanding that your desultory blogger was shamed into finally sharing with you the joys of over-wintering. 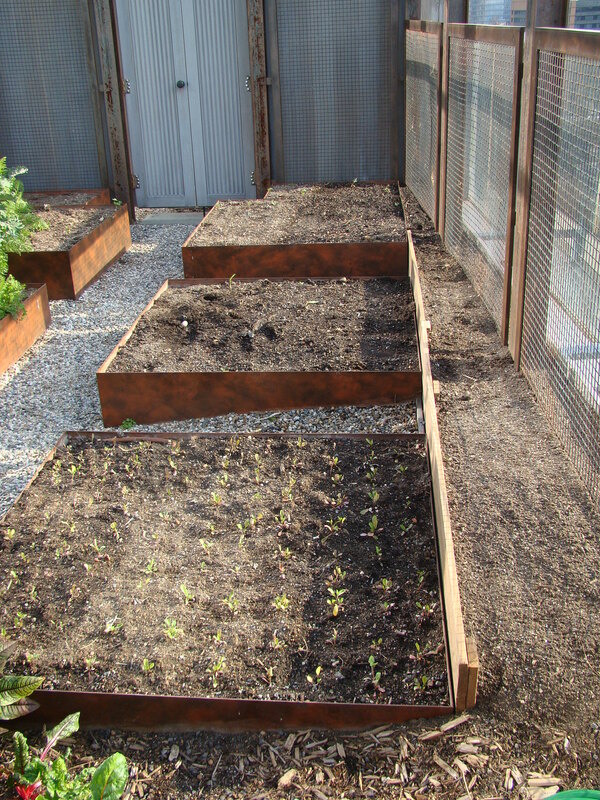 This entry was posted in Carrots, Cooking and Eating, Herbs, Kale, Soil, Weather. Bookmark the permalink. What was the new growth on the carrots? New baby leaves at the base are a sign the plant is starting to draw sugars from its taproot to begin its second-season flowering (and seed-making). 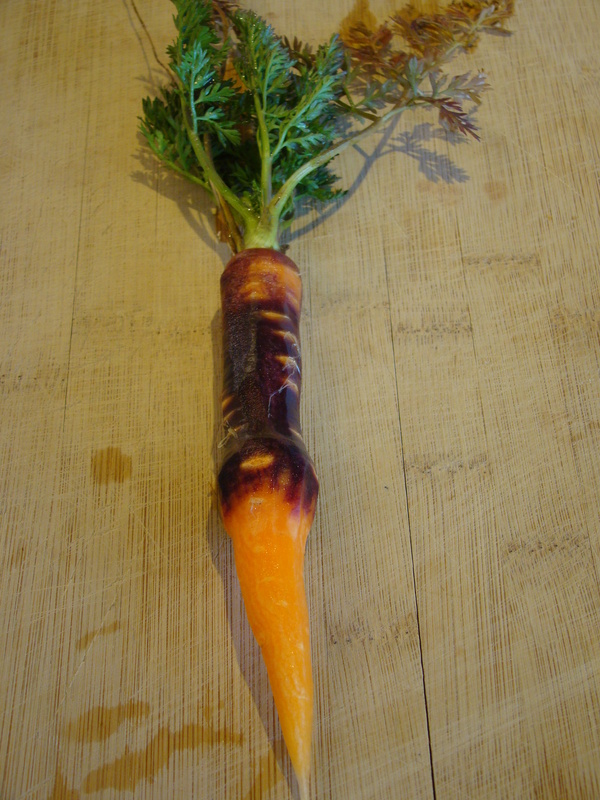 The new white roots appear just before this happens–unharvested, a carrot taproot will be gone by its second June. 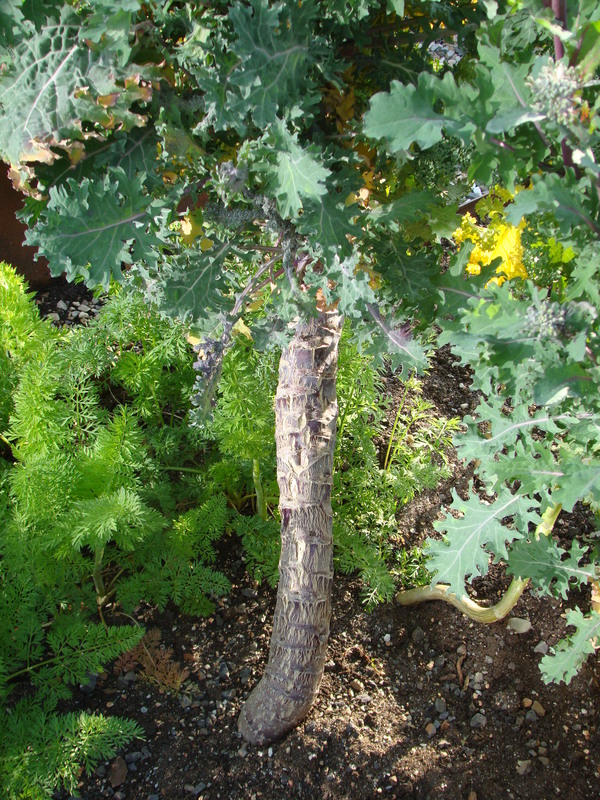 What was the new growth that appeared (you write: “And some individual carrots exhibit strange behavior over the winter, putting on new growth that appears to be from a cultivar different from the original”)? 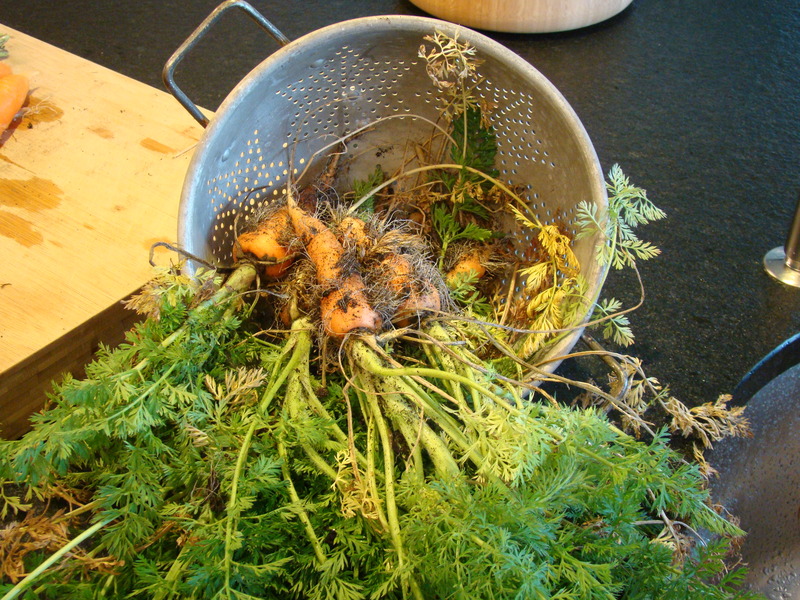 Left to overwinter, carrots come springtime draw upon the sugars stored in their taproots to grow new leaves–and those, in turn, begin photosynthesis that will promote the growth of flowers and seeds come late-springtime. 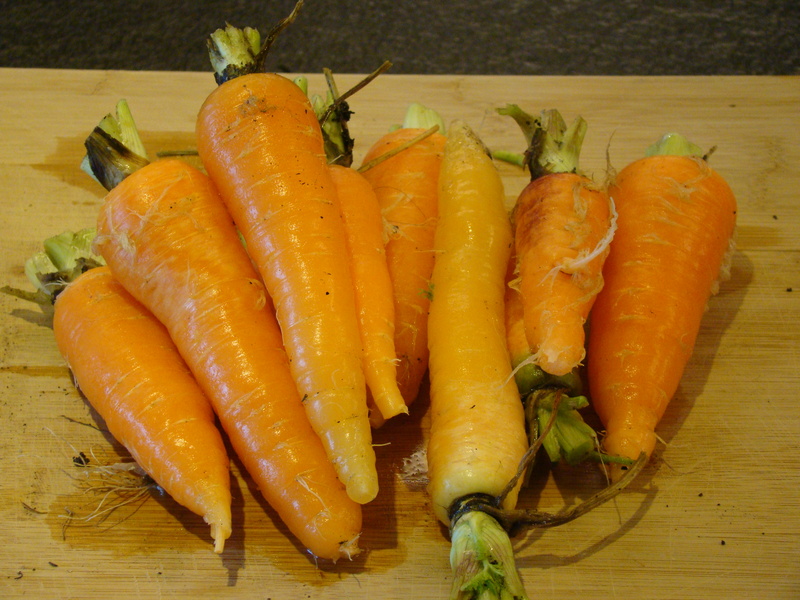 By June, a carrot will be in full flower and the root principally gone. 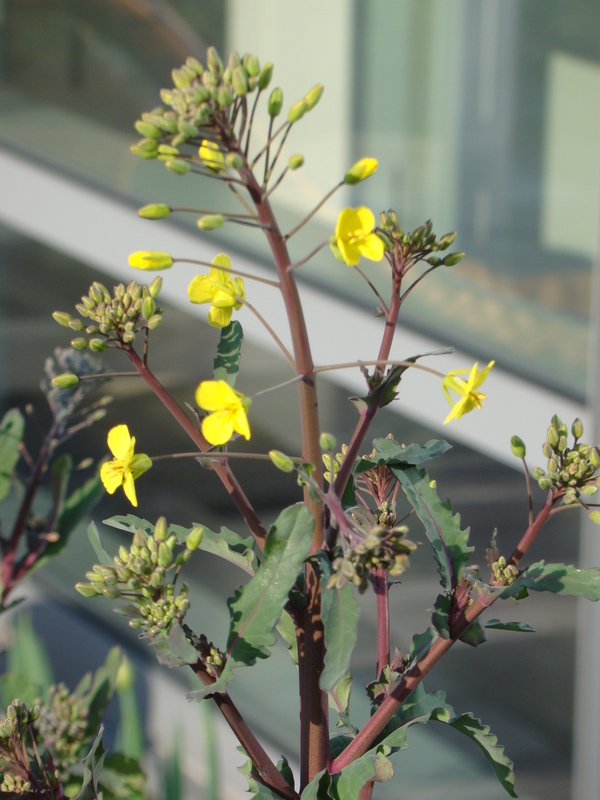 If its the new leaves that you’re eyeing, then harvest fast! That’s a sign this biannual crop is putting its energies into its own needs, and not yours.